International Women’s Day (IWD) is an annual opportunity to celebrate women and girls around the world. This year, as part of its IWD 2019 celebration, Kupona is participating in the GlobalGiving Girl Fund Campaign to raise support for The Mabinti Centre (“Mabinti”), a socio-economic empowerment program providing women and girls recovering from fistula repair surgery with trainings in practical vocational, life, and business skills. 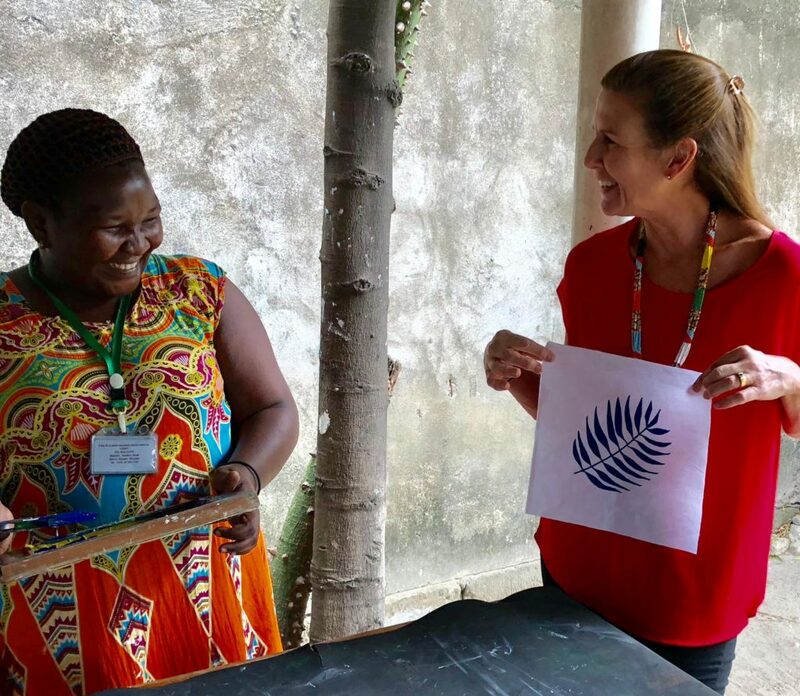 Mabinti seeks to equip women recovering from obstetric fistula with the tools and knowledge they need to rebuild their lives and become financially independent after experiencing the trauma and stigma of obstetric fistula. 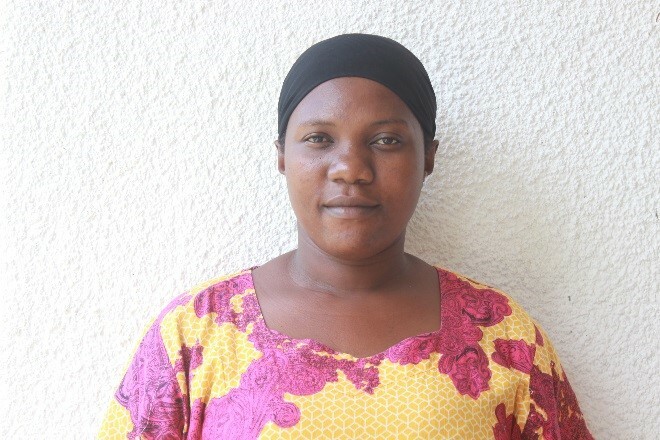 In honor of IWD and Kupona’s participation in the Girl Fund campaign, today we’re sharing the story of Jesca, formerly a patient at CCBRT, then a Mabinti trainee, and now a full-time Mabinti employee. When Jesca went into labor with her first child in 2006 at age 16, she had no idea how the experience would change the course of her life. Sadly, after a prolonged and difficult labor, Jesca lost her baby – and discovered that she had developed an obstetric fistula. An obstetric fistula is a birth-related injury usually caused by prolonged or obstructed labor without access to high quality maternal healthcare. One of the most debilitating symptoms that can accompany an obstetric fistula is chronic incontinence. This can contribute to the social stigma and marginalization often experienced by women suffering from the condition. In Tanzania, an estimated 3,000 women develop obstetric fistula every year. In Jesca’s case, her partner left her due to the incontinence caused by her fistula. Luckily, Jesca’s parents supported her in seeking care at Kupona’s local partner CCBRT in Dar es Salaam, Tanzania. CCBRT provides hundreds of women each year with comprehensive, holistic fistula care, free of charge. In February 2007, Jesca underwent a successful fistula repair surgery at CCBRT. After her surgery and recovery, Jesca tried to support herself and her family by selling fried cassava and taking a job as a security guard, but her income wasn’t enough to meet her and her family’s needs. Fortunately, in 2009 CCBRT founded The Mabinti Centre to support women and girls like Jesca, who were seeking to start new lives after experiencing the trauma of obstetric fistula. Unhappy with the work she had been able to find after her repair surgery, when Jesca heard about Mabinti’s new program she decided to apply. She was accepted as a trainee in 2010. “I changed my life at Mabinti,” says Jesca. 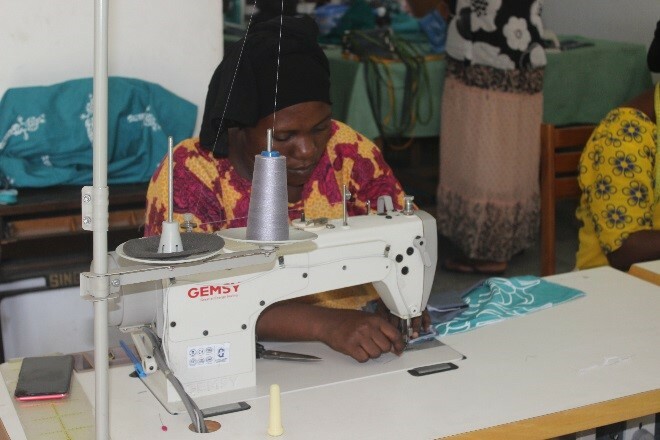 “I’ve really enjoyed spending time at Mabinti and working in an environment where everyone is ready to learn and to succeed in life.” As a trainee, Jesca spent a year at Mabinti learning sewing, beading, crochet, bookkeeping, English and entrepreneurial literacy. After she graduated from Mabinti in December 2012, Jesca kept working at Mabinti through 2012, before ultimately being hired as a full-time employee in 2013. Being hired full-time “was a new chapter in my life,” says Jesca, who is now 29-years-old and happily married. “The Mabinti Centre has played a big role in my success – I now live in my own house!” Despite the challenges she has faced due to her difficult labor, she says, being at Mabinti gave her hope for the future. Happy International Women’s Day 2019 from all of us at Kupona and The Mabinti Centre! CCBRT staff working with parent/caregivers. “I realized that my daughter had a developmental problem. She was not able to sit properly and her neck was not stable,” she said. Fortunately, community members told her that CCBRT may be able to help. After visiting the hospital, Juliet’s daughter was diagnosed with cerebral palsy and started physiotherapy sessions. 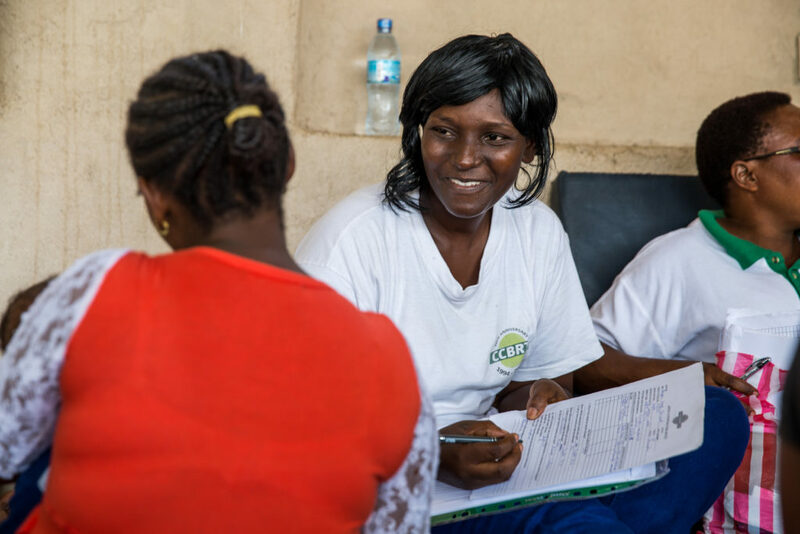 The sessions helped Juliet’s daughter become stronger and more mobile, but the new mother wanted to support her daughter’s development even more. That’s when she learned about PCTs. CCBRT started PCTs to engage parents/caregivers of children with cerebral palsy as the primary providers of their child’s treatment plan. PCTs take a simple approach to understanding and supporting children with cerebral palsy. After an overview of the condition, parents are taken through ten modules focused on home-based care of their children – including communicating, positioning, feeding, playing and using assistive devices – to help them create suitable environments. By bringing parents/caregivers together to understand cerebral palsy, observe therapy and learn to evaluate their children’s condition (when to get urgent care, how to identify changes, etc. ), the PCT sessions build confidence, knowledge and experience that enable families to support children’s growth and development. At the beginning of the summer Juliet attended a week-long PCT. In those five days, she learned more about cerebral palsy and practiced feeding and holding her daughter properly. Thanks to her new skills, life after PCT has been much easier. By stretching her daughter’s palms, for example, Juliet has helped further improve her daughter’s mobility and strength. “Because of the training that I got from CCBRT, I have seen a lot of improvements in my child’s development. Before I started working with her at home, she could not unfold her palms and her neck was very weak, but now she can hold and touch things,” Juliet explained. 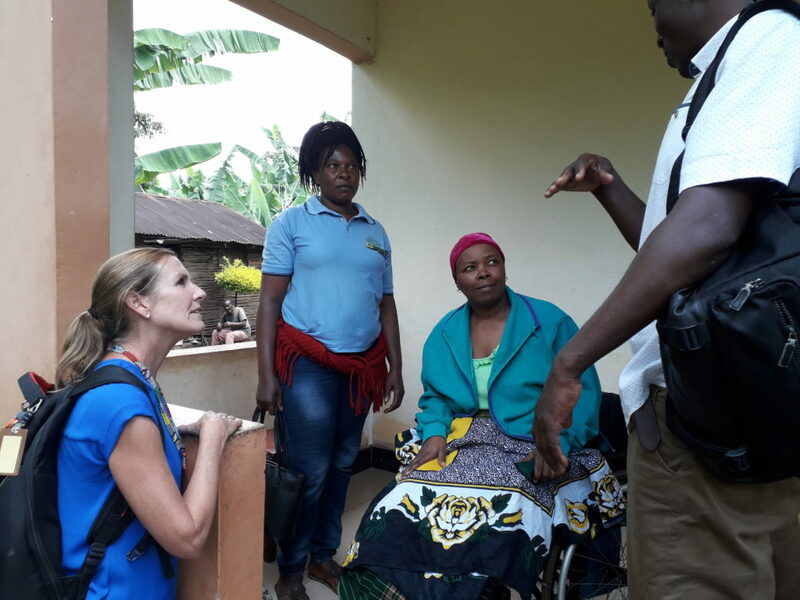 She is very thankful to now have the confidence to support her child’s development outside of formal physiotherapy sessions, especially since it is hard for her to travel to CCBRT as often as she would like. The PCT empowered Juliet to continue her child’s therapy at home. She concluded, “I thank God every day for CCBRT. I hope you continue providing these trainings, because you are touching the lives of many people.” While PCTs don’t replace the critical need for more rehabilitation staff and resources in Tanzania, teaching parents to provide for their child helps maximize the impact of physiotherapy sessions and optimize development outcomes. Meet Dr. Timothy: What’s a Vacuum Delivery? “My interest is in helping women give birth – I love what I’m doing,” says Dr. Timothy. 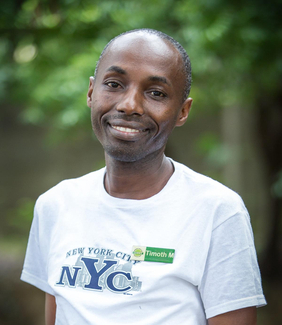 Dr. Timothy Mushi has worked on CCBRT’s Maternal and Newborn Healthcare Capacity Building team since 2013. As a clinical trainer, he supports health workers in 22 capacity building sites to deliver high quality care to mothers and newborns. His most recent training program – held in a series of sessions earlier this year – focused on vacuum-assisted deliveries. The procedure only takes 10 to 15 minutes, requiring much shorter preparation and recovery time than a Cesarean section. “The vacuum can have negative side effects if done poorly,” warns Dr. Timothy, “so that’s why we focus on training.” In this latest round, Dr. Timothy worked with 97 providers in seven of the busiest Dar es Salaam health facilities. His sessions consist of a brief classroom-like training to identify existing skills, followed by on-the-job training to fill knowledge gaps and give health workers a chance to perform the procedure with his assistance. From March to April, 42 vacuum-assisted deliveries were done under his supervision. Average skill scores of participants increased from 53% to 85% at the conclusion of the training. Stories from the field demonstrate just how important this work is. Dr. Timothy recalls entering a busy labor ward one morning, where the doctor on-call was finishing his eighth Cesarean section since the night before. Exhausted, he asked Dr. Timothy to look after the final woman waiting for surgery. 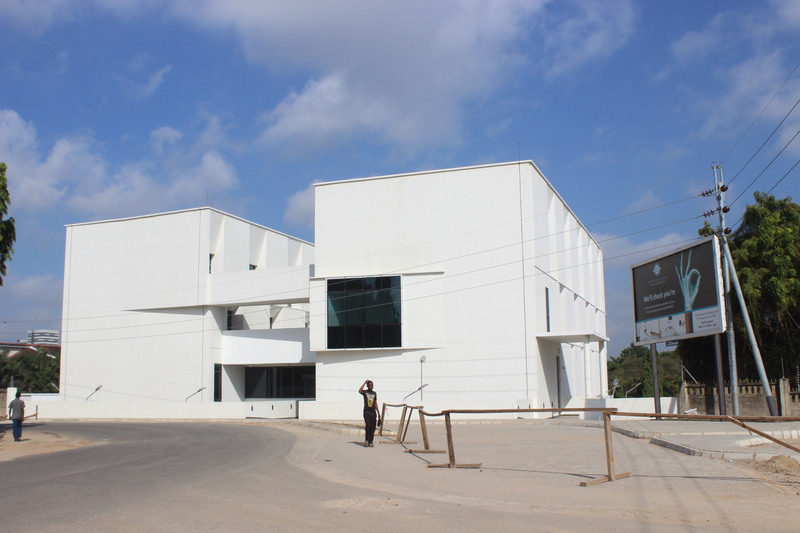 We’re excited to announce that after three years of construction, the new CCBRT Private Clinic building opened in July. Confused about what our Private Clinic is, or how it differs from our standard services? Today we’re answering your questions. What is the Private Clinic? 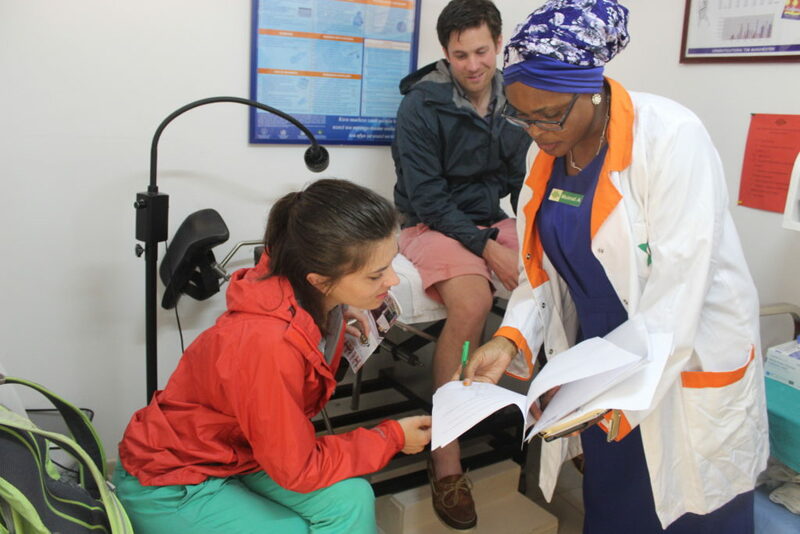 In 2004, CCBRT started offering private services to help subsidize the cost of care provided to patients who cannot afford crucial health services. Since then, the clinic has grown substantially: last year it served 7,608 new patients and provided 11,630 consultations. The revenue it generated was reinvested into the provision of CCBRT’s standard services, ultimately funding treatment for 20% of the hospital’s patients. Although physically separate from the rest of the hospital, the Private Clinic offers the same high-quality ophthalmology, optometry, orthopedics and rehabilitation services, in addition to ear, nose and throat (ENT) and gynecological services. Patients at the Private Clinic can book appointments in advance over the phone, and the clinic building offers air conditioning, free internet and waiting room televisions. What’s special about the new Private Clinic building? The new building expands CCBRT’s current Private Clinic space by 300%,giving us more room to accommodate more patients in our current service areas, and to expand into new services. In addition to our existing private service areas – ophthalmology, optical, orthopedics, physiotherapy, ENT and gynecology – the expanded clinic will offer a well baby and pediatric clinic, and will ultimately provide general medicine consultations. As well as a larger optical shop, the clinic will contain its own pharmacy and a phlebotomy lab for patients to visit for bloodwork and lab tests. 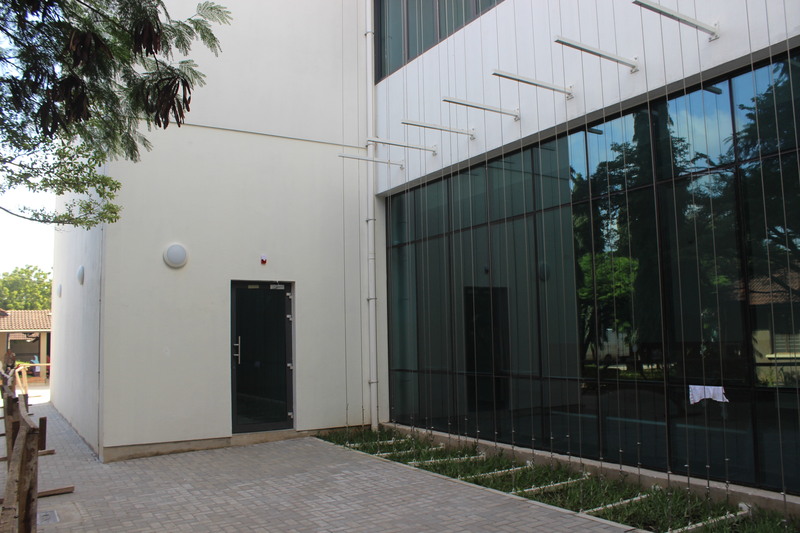 With large windows and motion sensor lights, the clinic is both well lit and energy efficient. Disability-accessible toilets are located on each floor, and the building’s four levels are connected by both stairs and elevators. As in the existing Private Clinic, patients will have air conditioning and free wi-fi. 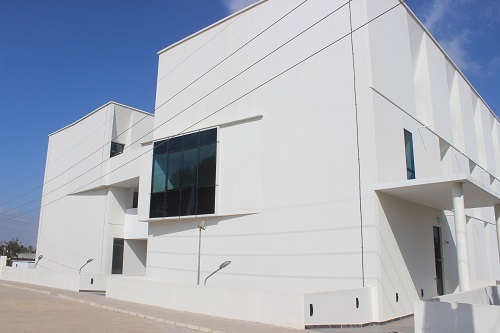 Visitors to the clinic can park in the parking lot close to the building’s main entrance on Ali Bin Said Road. 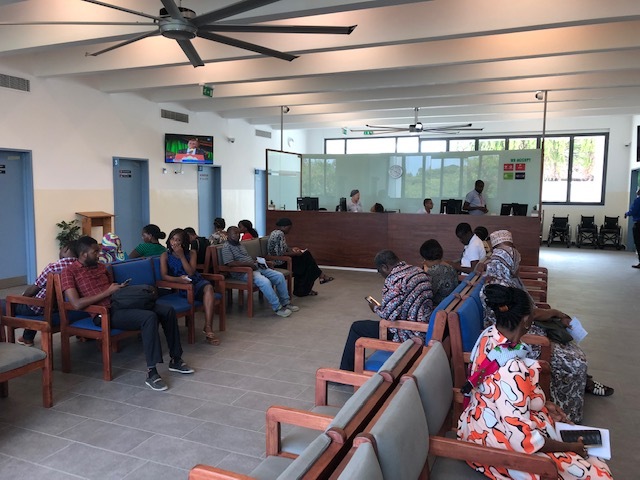 Why does CCBRT need a Private Clinic? CCBRT provides life-changing care to thousands of Tanzanians living with disabilities every year. To ensure that everyone who needs our services is able to access them, we provide high-quality treatment to our patients at highly subsidized rates or free of charge. We believe cost shouldn’t be a barrier to healthcare. What are the Private Clinic’s hours? In addition to new space and new services, the new clinic will also offer extended hours for some service areas. The eye clinic, orthopedic clinic, optical shop and pharmacy will be open from 7:30am to 8pm from Monday to Friday, and from 9am to 1pm on Saturday. ENT will maintain its current hours: 7:30am to 4pm Monday to Friday. Hours for the gynecology, well baby and pediatric, physiotherapy and general medicine clinics will be set following the clinic’s opening. 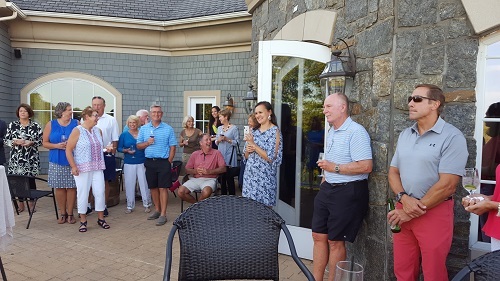 Last night, we were delighted to host our third annual event at Saratoga National Golf Club. 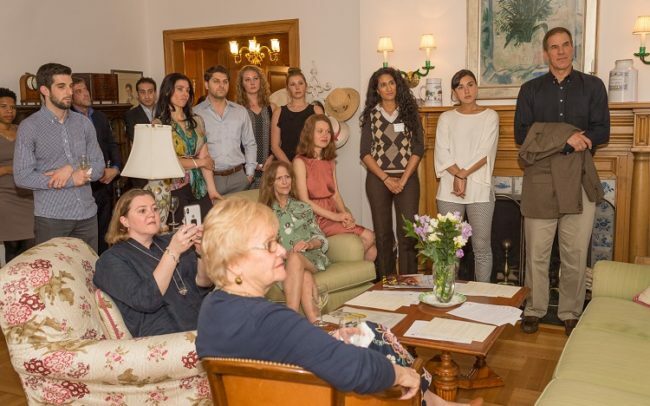 The generous support of Kupona’s sponsors and the Saratoga Springs-area community helped us raise over $47,000 to provide life-saving and life-changing healthcare services to children living with disabilities, women and newborns. The foursome from Beebe Financial Services preparing to golf for good. We were so fortunate to have a beautiful day for our golfers and guests. Teams golfed for health and hope on Saratoga National’s stunning golf course, and were joined by friends and family in the evening for a cocktail reception and live music from local artist Leah Woods. Competition was fierce at the silent auction table, and one lucky raffle winner became the new owner of a piece live painted by artist David Hill. 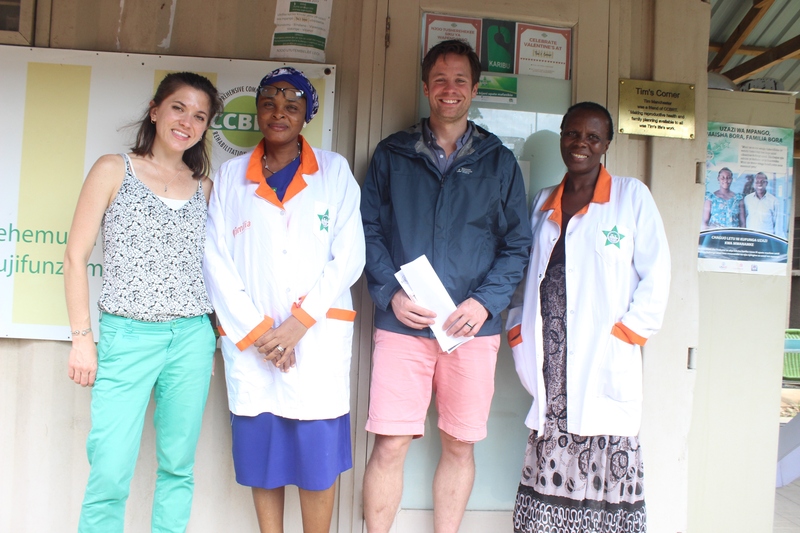 The very popular Mabinti Centre items were featured for a third year and were quickly snatched up by guests. During the evening’s remarks, Kupona’s Executive Director, Abbey Seaboyer Kocan shared an update on the impact our local community has had on the lives of people we are serving in Tanzania. She contrasted how a child born with a birth defect in the U.S. can access necessary medical care, and in many cases you would never know that child was born with a disability. In Tanzania, disability can be a life sentence to poverty. A child born with clubfoot, like Lita, will become permanently disabled and trapped in a cycle of poverty if she is unable to access quality care. That is where Kupona’s supporters and friends come in. $47,000 could provide 293 children just like Lita with the treatment they need to run, walk, and go to school. One of the most important aspects of Kupona’s work is our focus on sustainability, helping our Tanzanian partner, CCBRT, on the journey toward becoming a social enterprise. We are doing this by harnessing the demand for high quality healthcare in Tanzania’s growing middle class, and providing an in-country opportunity for them to receive high quality services such as cataract surgeries and knee replacements. Clients are willing and able to pay more for ‘premium’ services (which are appointment based and offer an air-conditioned waiting room, for example) allowing us to provide subsidized and free care for those who cannot afford it. 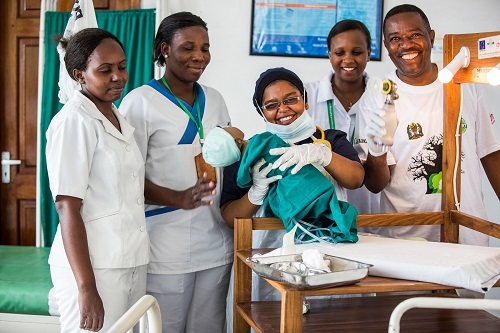 Not only are we focused on financial sustainability, but also embedding high quality care and practices into the existing Tanzanian healthcare system. 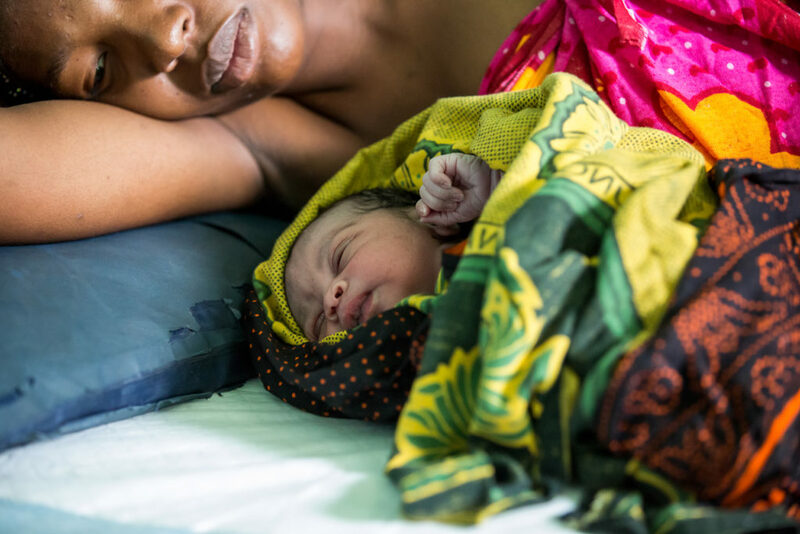 Our community’s generosity will help us continue to equip clinical teams with the live-saving skills they need to provide expert, quality care to women and newborns in need. 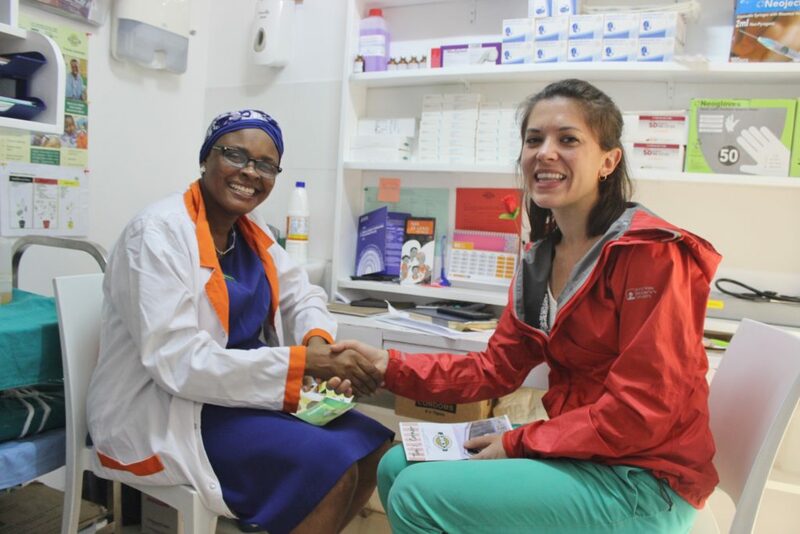 By training healthcare workers to train others, we ensure that quality of care will be available for years to come. A huge thank you goes to our generous Patron sponsors, The Gorman Group and WCC, LCC. Thanks to our Ally Sponsors Beebe Financial Services, D.A. Collins, Tom & Laurie Longe, Bob & Denise Schwed and Steve & Debby Seaboyer. 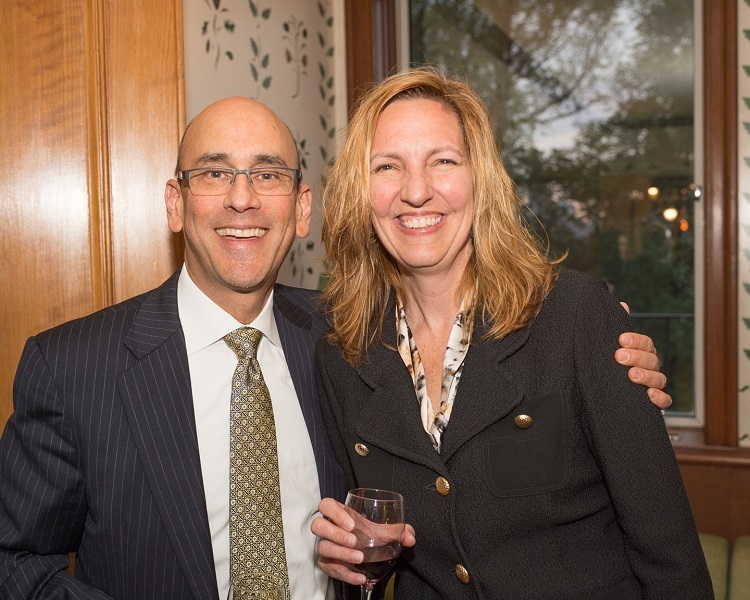 And with thanks to our Bar Sponsor Galusha & Sons, LLC, our Event Sponsors Tim & Liz Ostrander and Bob and Mary Grace Manz, and our Friend of Kupona sponsors. 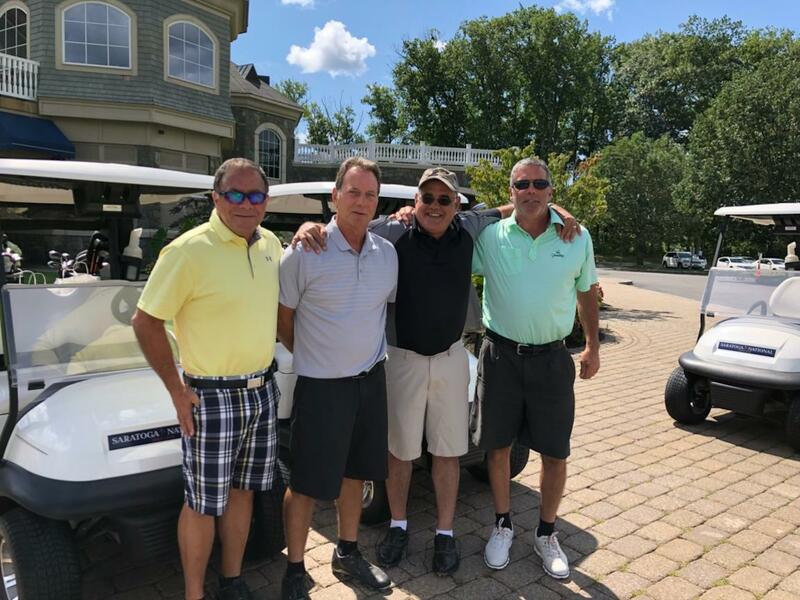 We are also grateful for the amazing staff at Saratoga National Golf Club, our golf committee, Tom Longe and Steve Seaboyer, and Leah Woods and David Hill for making the event such a success. We have a goal of raising another $10,000 to enable us to invest in what it will take to ensure that the opening of our new Maternity & Newborn Hospital in 2019 is a success, and to reach more children with the care they need today. Donate today! A gift of $160 will support a child living with a disability, improve their mobility and give them the chance to learn and play. Join us with a donation of $5,000 to help us make the necessary investments in start up costs for the new maternity hospital. Learn more! Check out your impact in our newly released 2017 Annual Report. Reach out to someone who might want to learn more: a friend, colleague, minister, or neighbor. We’re so proud to call Saratoga Springs home and so grateful for the incredible generosity and support of this community. Thank you.